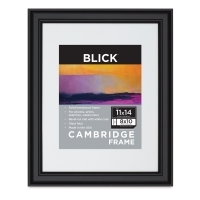 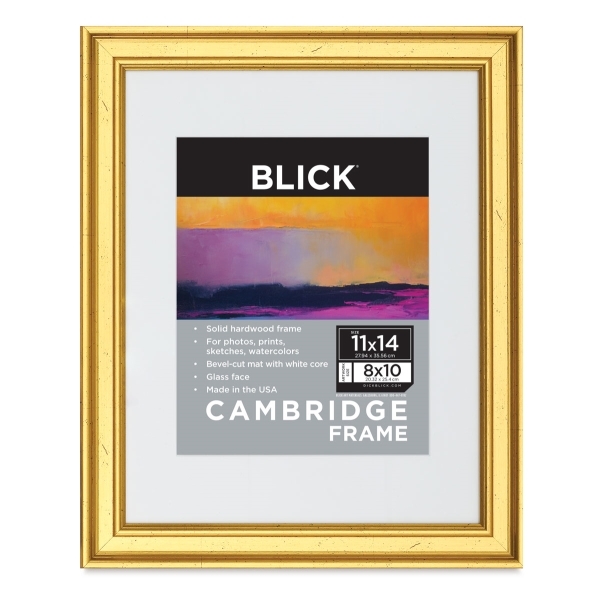 Designed to complement both modern and traditional art, the Blick Cambridge Plein Air Frame has an upscale appeal that is timeless. A welcome addition to any room or gallery space, this solid hardwood frame is ideal for framing your favorite photos, sketches, watercolors, and prints. Choose from a range of rich colors that include Black, Gold, Silver, Espresso, and Stained Walnut. 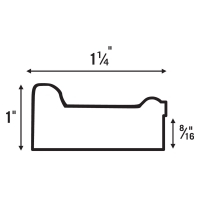 The Blick Cambridge Plein Air Frame includes a bevel-cut white-core mat, a glass face, backing, and hanging hardware.